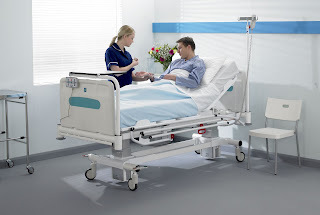 You might have wondered what is involved in creating a brochure for something like the new Innov8 hospital bed - who lets us onto the ward for the photography, and how do we get the permission of the patients to take their photos? Of course, it’s not really like that. We don’t actually go onto the ward and take over it for a photo. Instead, we go to a photographer’s studio and build a set which looks like a ward, which can take a whole day to construct. 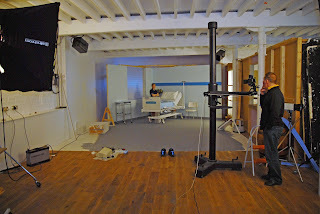 We use models to act as nurses and patients, and spend most of a day getting the shots set up and taken. Ok, sometimes we are able to photograph a product in real use, but like just about every single company we use a set. So the next time you see a brochure for a bathroom shower, a laptop computer or a hospital scanner, the products were almost certainly shot in a studio.